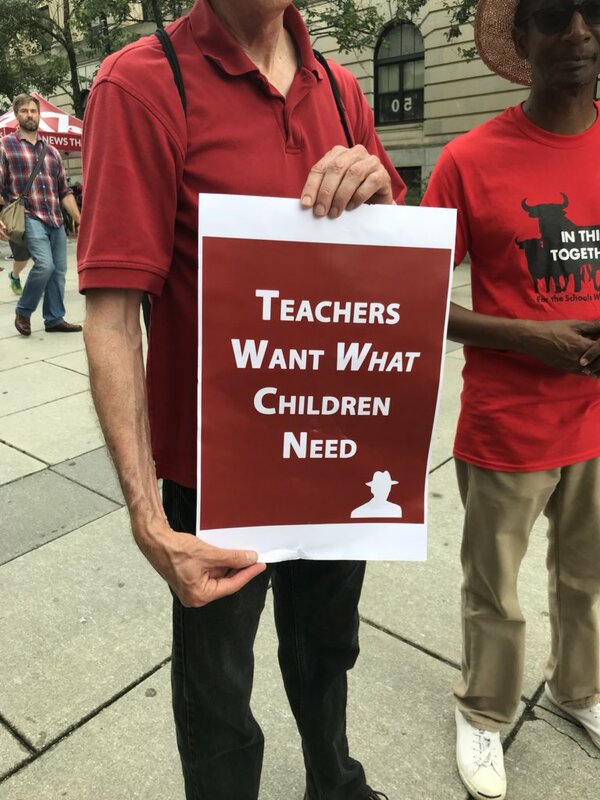 On Wednesday, May 16, thousands of North Carolina educators took to the streets to protest against low teacher salaries and deteriorating school conditions. Their one-day strike is part of a growing national movement that has swept across the country since West Virginia teachers began the initiative in February. Chronic cuts to education spending over the past decade has resulted in bigger classroom sizes and increasingly lower salaries. On average, teachers earn 60 percent less than similarly educated professionals, forcing many to take on second or even third jobs. To make matters worse, they are often forced to teach using torn textbooks, outdated equipment and limited or no classroom supplies. Here is a look at some of the passionate educators who are fighting to bring about badly needed reform to the US public education system. 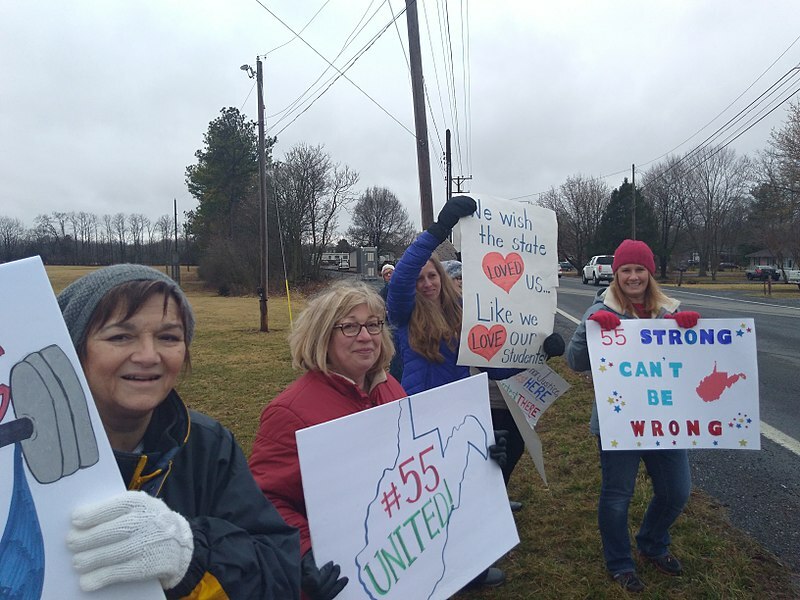 On February 22, thousands of West Virginia school personnel, including many of the state’s 20,000 teachers, took to the streets to campaign for state education reforms. The protest was triggered by signed legislation to provide teachers, school administrators and police with a 2 percent pay increase starting July, and 1 percent pay hikes in 2020 and 2021 — neither of which are enough to cover the cost of living increases. 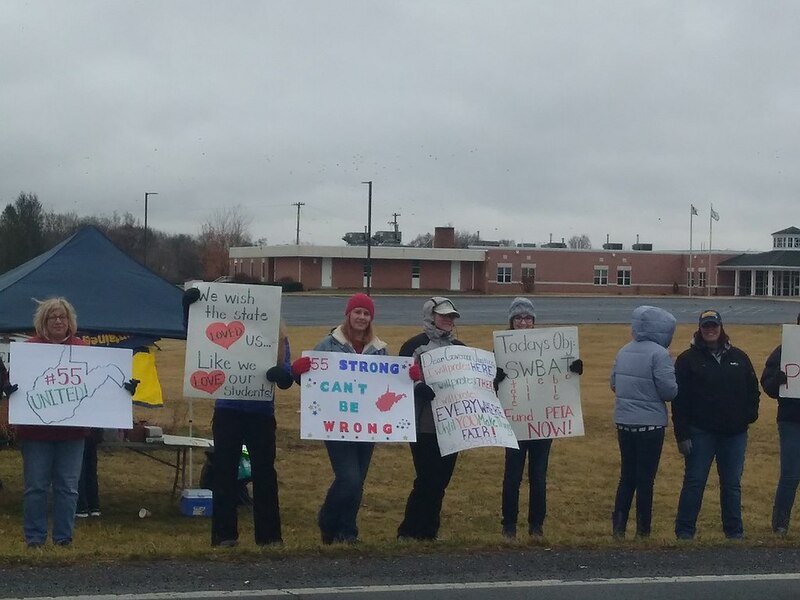 Ironically, instead of being upset over the nine-day strike that resulted in closing schools across the state’s 55 counties, many parents marched alongside the educators in solidarity. It took almost two weeks, but on March 6 the legislators finally succumbed to the demands and approved a 5 percent pay increase for the first year. This is a significant victory for the state’s teachers who are among the nation’s lowest paid. The governor also agreed to set up a special task force to look into the educators’ concerns about healthcare benefits. 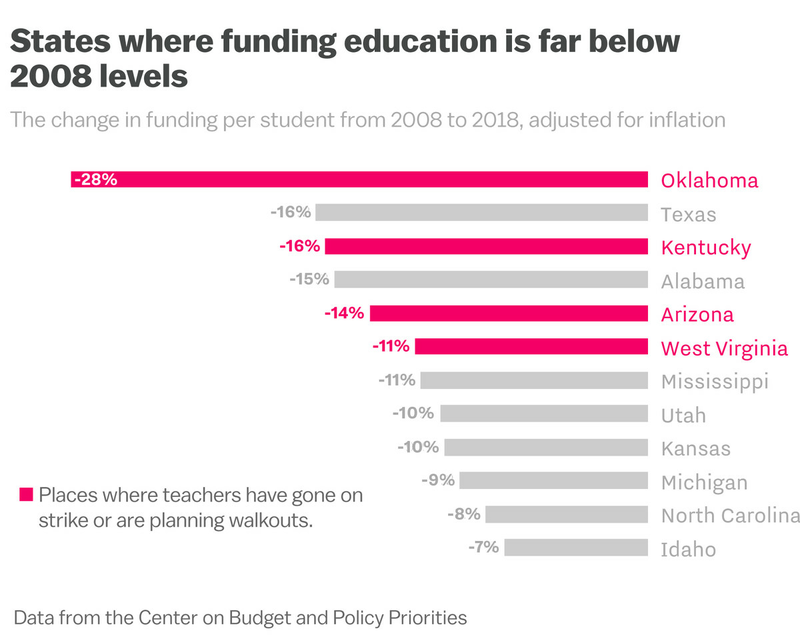 Galvanized by West Virginia’s success, on April 2, 2018, Oklahoma teachers and supporters staged a massive walkout in Oklahoma City, causing more than 200 school districts to close. The protests reflected discontent over a decade of tax cuts that have reduced educational funding to just $8,000 per student, far below the national average of $11,400, resulting in 20 percent of schools shortening their weeks to four days and offering fewer electives. 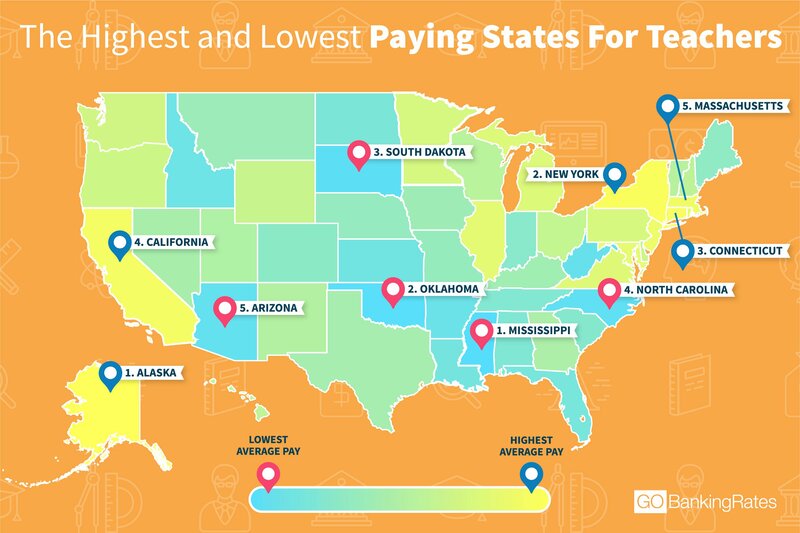 A 2016 report from the National Education Association (NEA) revealed that, at $45,276, average teacher salaries in Oklahoma were also the second-lowest in the nation. Their plea did not go unheard. On April 12, Oklahoma Governor Mary Fallin instituted new or higher taxes on oil and gas production, tobacco, motor fuels and online sales. The funds will be used to increase teacher salaries by an average of $6,100 depending on experience and that of support staff by $1,250. An additional $50 million will be provided to schools to pay for new textbooks, technology, and infrastructure upgrades. Protests in Kentucky began in late March when a pension reform bill, giving legislators authority to alter pension funds for new teachers, was unexpectedly approved by the State House and Senate. Unrest over the hastily passed law, which proposed cuts to teacher retirement programs, led to a massive rally with thousands of educators and supporters descending upon the Capitol on Monday, April 2. Many teachers also used the opportunity to demand additional money for classroom supplies which they often purchase from personal funds. On April 14, the officials passed three tax and budget measures that are expected to raise nearly $400 million, a large chunk of which will be spent on education funding. Following a six-day strike in 90-degree heat, Arizona teachers were finally able to celebrate on May 3, after state lawmakers agreed to some of their demands. In addition to a 20 percent pay raise over the next four years, the final budget package dubbed the “#20×2020” plan, will also partially restore the $400 million school funding lost in recession-era cuts. The money will be used to increase the salaries of support staff, purchase new textbooks and upgrade technology and infrastructure. “We will return to our schools, classrooms, and students knowing we have achieved something truly historic. We should take pride in what we have accomplished, and in the movement that we have created together,” said National Education Association (NEA) president Lily Eskelsen García. Throughout April, Colorado educators from several districts took personal days to try to convince legislators to increase state school budgets, which have been underfunded by an astounding $822 million annually, since 2009. The lack of money has forced districts to fire staff, freeze salaries, shift to four-day school weeks, and eliminate enrichment programs. At the end of the month, Gov. John Hickenlooper acknowledged the teachers’ concerns at a rally and promised to address them, without offering any specifics. To bring about more concrete change, on May 7, teachers from Pueblo City Schools organized the state’s first district-wide strike in 20 years. The five-day stand-off resulted in a 2 percent cost-of-living raise for the 2017-18 school year, retroactive from January. Additionally, in September, educators will receive an step up in salary based on their experience, a 2.5 percent cost of living increase and a monthly $50 stipend towards the district’s health insurance premium contribution. Hopefully, these walkouts will encourage legislators in other states to take preemptive action so that more teachers don’t have to take to the streets to provide world-class education for their students. Posted in Accountability, Advocacy, Education Budget, Educators Protest, Every Student Succeeds Act, Funding For Education, No Child Left Behind Act, Pension & Salary, Students and Parents Protest and tagged "Standing Strong for Public Education", #iBelieve, Accountability System, Advocacy, Education, Education Funding, Every Student Succeeds Act (ESSA), Failing Schools, Federal Education Policy, High-Needs Students, NEAExecutiveCommittee, Pensions, Testing and Accountability. Bookmark the permalink.